The Oregon Ducks Nike LeBron Soldier 10 PE will be worn by the University of Oregon basketball team tonight at 9 PM EST when they take on UCLA. 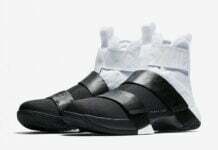 Recently showcased, this Nike LeBron Soldier 10 comes with an Off-White mesh upper which almost appears Grey. Used on the Nike Swoosh, liner and LeBron branding is Green. What might be the highlight of the shoes is ‘DUCKS’ seen on the heel tab. Completing the look is a translucent outsole which gradients from Green to Yellow. 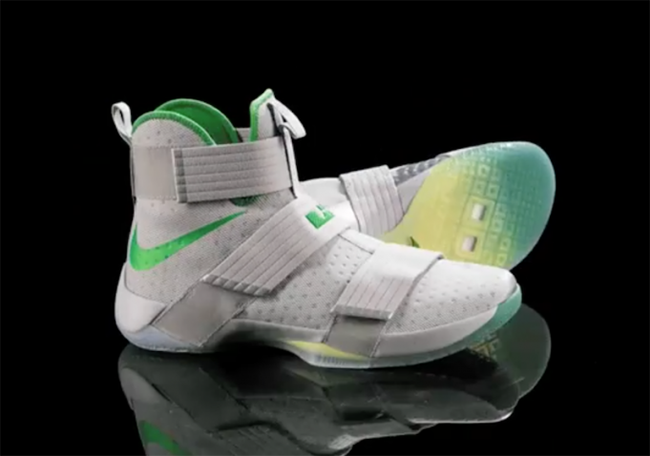 Below you can check out a short preview video of the Nike LeBron Soldier 10 Oregon Ducks. 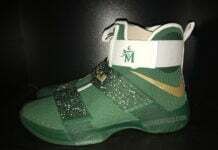 As well, you can see the squad rocking them tonight when they take on UCLA. 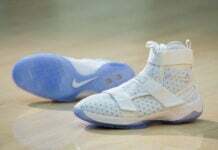 Make sure to visit the comments section to let us know your thoughts and if Nike Basketball should release them.